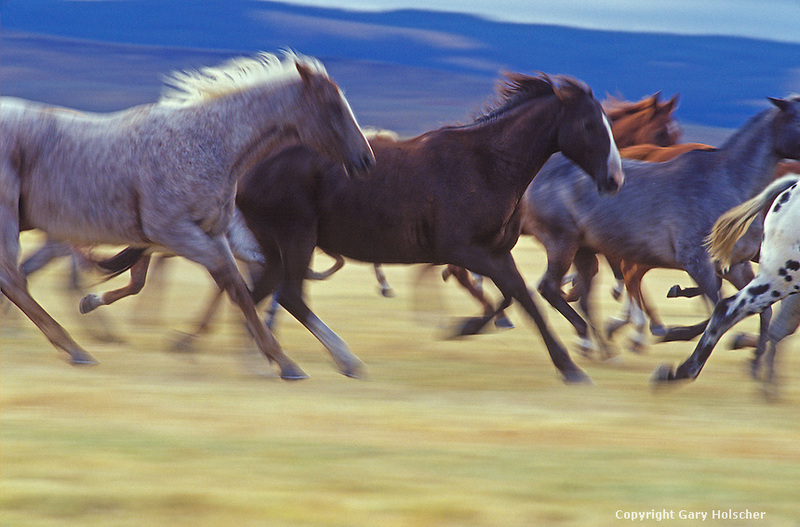 Horses running in prairie. Blurred. Ponderosa Ranch, Seneca, OR.